Starting May 1st, the TIME GRANTS campaign calls for better conditions for artistic work in Berlin: 10.000 visual artists demand TIME FOR THE INDEPENDENT ART SCENE through contemporary, practice-oriented funding structures. In light of the waning scope for free development, skyrocketing rents and living expenses, it is urgently necessary for the city’s cultural policy to take future-oriented action in order to keep the artistic basis of the internationally acclaimed art metropolis in the middle of the city, and thus in the middle of society. The TIME GRANTS (ZEITSTIPENDIEN) – from the Independent Scene Coalition’s 10 point program – are a new funding tool developed by visual artists themselves, and provided to the Berlin Senate in order to substantially improve the artistic labor conditions in the city: 350 individual grants of 7,000 Euros for visual artists per year. Now the program needs to be implemented as policy. With a focus on the ongoing parliamentary negotiations of the Berlin state budget for 2016/2017 (to be passed this autumn), artists and cultural workers are organizing a politico-artistic campaign in collaboration with the Independent Scene Coalition, run by AG ZEIT for ZEITSTIPENDIEN, supported by Bildungswerk bbk berlin. 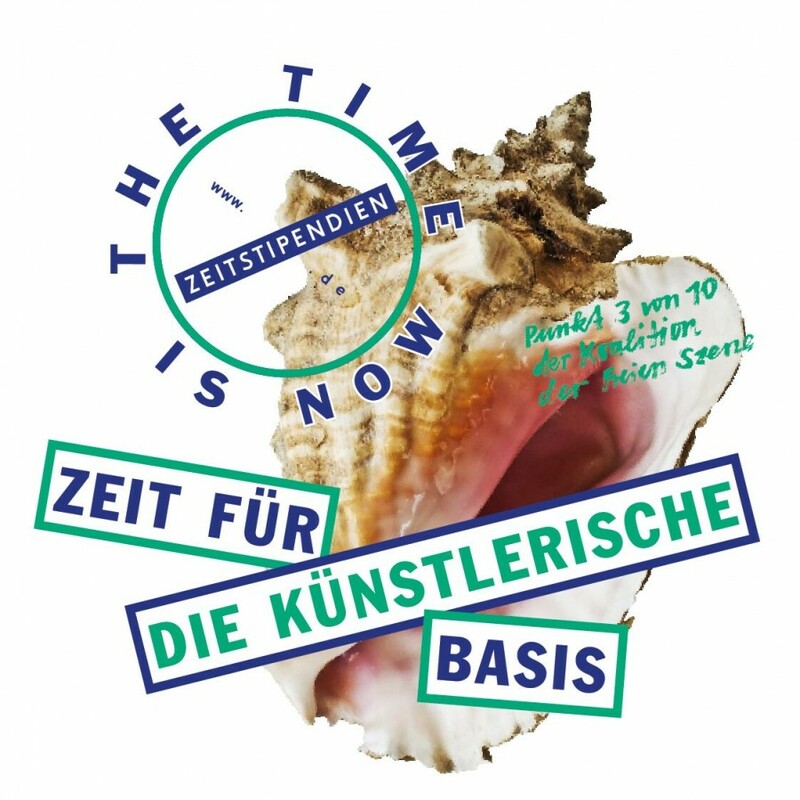 On May 1st, International Worker’s Day, the first phase of the TIME GRANTS campaign began with the launch of the website, a feature on “Avatara Zeitstipendia Plenara” – the parliamentary delegate of 10,000 Berlin-based visual artists and their demand for time – in the Tagesspiegel, and the distribution of campaign print materials in the city.